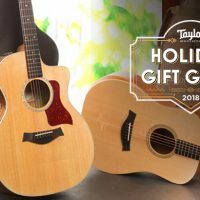 Whether you’re looking to invest in your first acoustic guitar, add to your Taylor toolbox, or simply learn more about the Taylor Guitars line, we’re here to help. With a broad range of body shape and tonewood combinations available, an inspiring guitar is within reach of every type of player. And finding the right model for your needs is easier than you think. 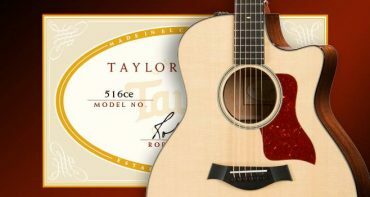 Here we will guide you through; how to find the best acoustic guitar for you. 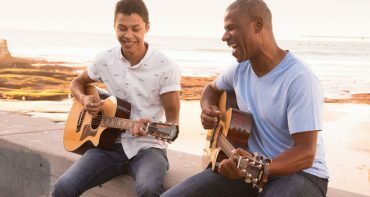 The key is to choose an acoustic guitar whose sonic attributes are most compatible with your particular playing style and musical preferences. Ahead we’ll share some basic tips to support your search. The good news is that whichever Taylor you choose; you really can’t go wrong. 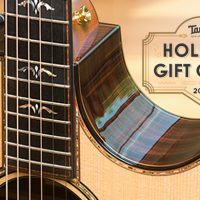 While each model projects a unique personality based on its distinctive tonal nuances, there are certain fundamental qualities you can count on in any Taylor: easy-playing necks, great intonation, clear, balanced tone, and impeccable craftsmanship. 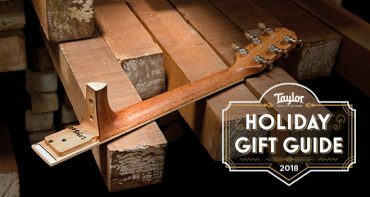 Add to that our commitment to providing great customer service and to responsible stewardship of the tonewood resources we consume, and you’ve got a recipe for a lifelong guitar experience that delivers satisfaction to the fullest. With that in mind, here are a few thoughts to ponder the next time you consider a guitar purchase. 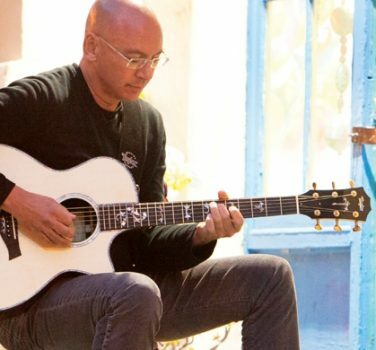 Choosing an acoustic guitar is a subjective process. Enjoy it. Each person’s relationship with a guitar is truly unique. The connection you make is part visual, part tactile and part sonic. Keep in mind that we each hear and respond to sound in unique ways. Playing music taps into an assortment of feelings and moods, helping us to express ourselves, relax, escape, etc. In the end, what matters is that you find a guitar that inspires you musically and emotionally. If you do, you’ll be more likely to play it. 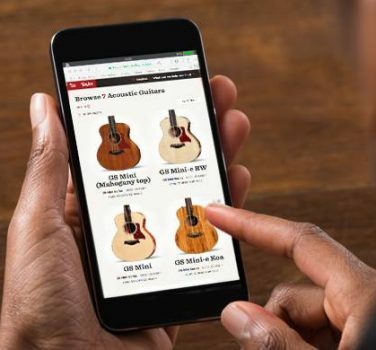 You might find the right guitar systematically over a period of weeks or months of test-driving, or discover your Holy Grail in one serendipitous strum. Either way, take your time, enjoy your musical quest, and trust your feelings. If you do, the right guitar will find you. Your choice of body shape and tonewoods should complement your playing style. Think of it as the sonic equivalent of how a food and wine (or craft beer) pairing relates to your palate. 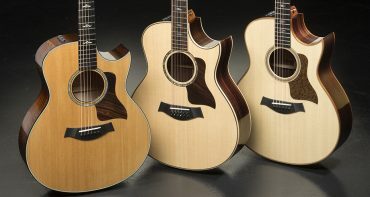 At Taylor Road Shows each year, our guitar experts demonstrate how the combination of different body shapes and tonewoods impact an acoustic guitar’s sound, and how those tonal properties match up with different playing applications. When they do, both the player and the instrument bring out the best in each other. The more you know about your specific playing style or ability, the easier it will be to find a guitar that fits your needs. Along with Road Shows, our product specialists and authorized dealers often host Find Your Fit events as well. So, if you’re a beginner and don’t have a defined playing style, don’t worry. We can guide you in the right direction by finding out what your musical interests and goals might be. Here are some questions to consider as you think about the best guitar options for you. 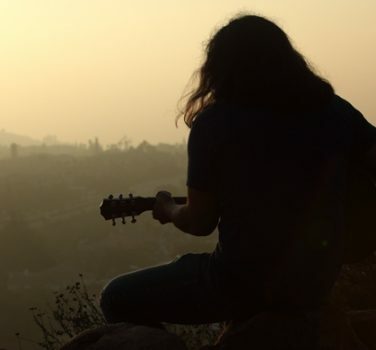 Will you be strumming, flatpicking, fingerpicking? A mix? 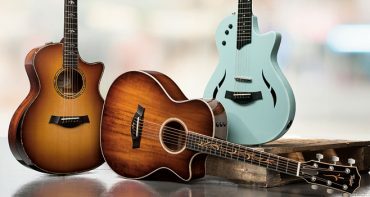 This will help you decide whether you need a versatile performer or an acoustic guitar that suits a more specialized function. 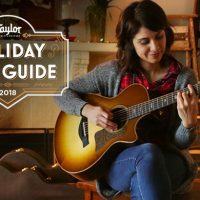 If you’re a novice and don’t have a clearly defined playing style, leaning toward versatility will give you the most latitude to explore different techniques and musical genres. But if you already own one or more guitars or have a specific musical application in mind, you can be more focused on your search. If you’re looking for a couch strummer or portable option, you might want something that’s smaller and more physically comfortable. If you’ll be playing somewhere that demands a good amount of natural volume and projection without having to plug in the guitar, you’ll likely benefit from a bigger body. If you plan to play live gigs, worship services, or open mike nights, you’ll want a guitar with a pickup. Do you have a light, medium or heavy attack, and how dynamic a range do you want? This will help you home in on the right body style to accommodate the amount of energy you’ll be applying to the guitar. If you have a heavy attack and play a smaller guitar, you might be more likely to overdrive the top, which will cause the tone to become distorted. A bluegrass picker might want a bigger body like a Dreadnought or even a Grand Orchestra for maximum volume and projection, while a country fingerpicker might want something smaller like a Grand Concert or Grand Auditorium. An acoustic rocker who wants to strum rich open chords might prefer a medium-size guitar like a Grand Symphony or a big Grand Orchestra. Do you plan to play chords or solos higher up the neck (toward the body)? If so, you might opt for a cutaway model. Will you be playing more often by yourself or with other players/instruments? If you’ll be playing by yourself, you might want a guitar that provides a more expansive sonic palette to give yourself a wider range of tonal colors to explore. 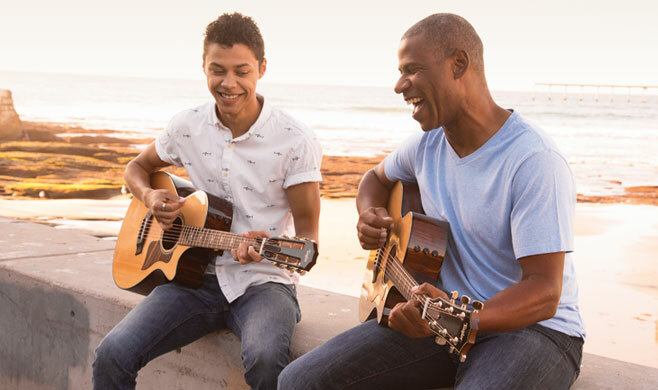 If you’ll be playing with others, you might want a guitar that has enough focus to be heard in the instrument mix. Will you be singing with your guitar? If so, you’ll want your guitar’s tonal personality to complement your voice. A rosewood guitar tends to have a scooped midrange, which creates space for vocals to fit. But it’s all about your voice and the guitar together. 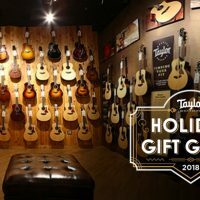 It might be a matter of visiting a music store at a time when you feel comfortable singing with the guitar or having access to an isolated room where you can pair your voice with each instrument. If you’re more of an instrumental player, does the guitar offer the right tonal palette for you to express yourself? Do you plan to do any live performing or recording? If you want to plug in, you should buy a guitar with an onboard pickup. If you plan to record, think about the instrument mix that might be involved. If there will be multiple tracks, you might lean toward a smaller body guitar, since it will have a smaller sonic footprint. If you play to play solo acoustic guitar, maybe you want a bigger, more luxurious voice to explore. Are there certain tonal properties you have in mind, such as volume, richness, low-end response, warmth, etc.? If so, this will help steer you towards an appropriate shape/tonewood pairing. Rosewood has a deep low end and high end with a rich overtone complement. Mahogany yields a focused midrange presence. Our maple guitars are rich and responsive. A cedar top produces warmth that really shines with fingerstyle playing. If you don’t really know what you want, that’s okay. Just sample some different wood options and pay attention to what connects with you. 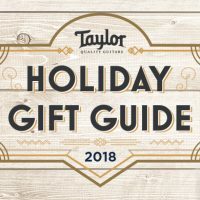 For all of this information and more be sure to download The Definitive Guide to Buying an Acoustic Guitar.